Comprehensive drone regulations come into effect in SA today. The comprehensive local regulations for unmanned aircraft systems (UAS), or as more commonly referred to, drones, will come into effect today. Media coverage has focused on what regulated drone usage will do for "dramatic shots" in film; however, drone technology has far-reaching benefits for many other industries. Drones are used in other parts of the world in agriculture to herd livestock and spray pesticide over crops. Drones are also being used to improve weather prediction and save time mapping archaeology sites. Thomas Frey, senior futurist at the DaVinci Institute, says the use of drones "will open a world of possibilities unlike anything before in all history". This is because the potential capabilities and features can be put into one single device. "We can add lights, sound, cameras, microphones, sensors, robotic arms, wave cancellation technology, or wave enhancement technology. Flying drones can also roll along the ground, stick to the side of a building, float in a river, dive under water, and jump onto a building or climb a tree," said Frey, explaining potential features. Frey predicts drone technology will be used as early warning systems for natural disasters and in emergency services, news reporting, delivery, business activity monitoring, and in gaming, sports and entertainment. The Department of Environmental Affairs previously said it plans to use drones to combat rhino poaching, and other non-South African conservation groups have used drones to count shark populations. The South African Civil Aviation Authority (CAA) is one of the first worldwide to develop such a comprehensive set of regulations, says Phindiwe Gwebu, CAA spokesperson. Drones are a global phenomenon, says Arthur Goldstuck, MD of World Wide Worx. "Companies are in the early adoption phase, but the effect will snowball as a lot of awareness will be created in the next few months surrounding the uses of drones. "This is a rare case where a regulatory framework outlines opportunities." Before today, all drone usage in SA was technically illegal. The CAA explained in a statement last year: "The current civil aviation regulations prescribe specific requirements for operating an aircraft in the South African airspace. To date, no UAS has been able to comply with these requirements." The new regulations were set up in response to the growing demand to regulate the sector so South Africa could take full advantage of the emerging technology, said CAA director Poppy Khoza. The regulations apply to both hobbyists and commercial users; however, commercial users are required to obtain a pilot licence, operator's certificate, a letter of approval, and register the drone with the CAA. * Drone may not fly within 50m of a person or building. * Drone must be directly within the line of sight of the operator at all times. * Drones may not fly 120km above the ground. * Drones may not tow another aircraft. * Drones may not perform aerobatic displays. * Drones may not fly near or above a nuclear power plant, prison, police station, crime scene, court of law, national key point, or strategic installation. * Drones may not fly within a 10km radius of an aerodrome. * Drone operators must obtain permission from land owners before flying a drone above their property. Commercial users may apply to the CAA director for concession on regulations for work that requires them to, for example, go closer to a building than the regulations allow. "The regulations were designed to eliminate unknown risks by putting limitations in place. This doesn't necessarily mean any operations outside of the limitations are too risky or will not be allowed," says Gwebu. Regulations are needed to ensure public safety, says Subash Devkaran, CAA senior manager, adding that no commercial interests will be placed above these considerations. There have been numerous accidents internationally, with drones being used by hobbyists in countries where their use is not regulated. The most recent event happened this week at a gay pride parade in Seattle, where a woman was knocked unconscious by a drone after the operator flew it too close to the crowd. 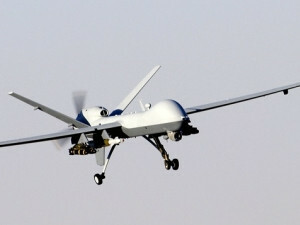 The report cited incidents like this as reason for the need for "at least some kind of regulation" of drones in the US. Singer Enrique Iglesias sliced open his fingers when he reached out to a drone hovering too close to him at a recent concert. A drone carrying mistletoe indoors wreaked havoc at a Christmas party last year, and a triathlete in Australia was taken to hospital after an incident with a drone filming the event. A drone nearly caused a mid-air collision with a passenger jet in London, and the White House was locked down in May after a drone was spotted in the air in nearby Lafayette Square.